Protein is an essential nutrient that the body needs to form muscle tissue, that is why you should put high protein foods in your daily diet. Protein deficiency may cause several dangerous diseases that lead to death. Protein molecules containing carbon, hydrogen, oxygen, nitrogen and sometimes sulfur and phosphorus. Protein plays an important role in the structure and function of all living cells and viruses. 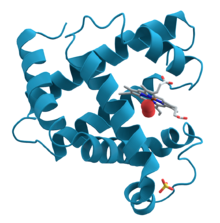 Other proteins function are as regulator substances. Protein helps regulate the hormones that function in the digestive process. Protein also plays a role in maintaining the balance of pH acid and body base. Other benefits of protein is a food and energy reserves in the body. Because of the importance of the function of the protein to our body, then we need to meet daily protein needs. Based on the source, the protein is divided into two, namely vegetable protein and animal protein. Vegetable protein derived from plants, while animal protein derived from animals. Animal protein contains a complete amino acid profile including the essential amino acids that must be used for the development of the body. Fresh fish: Surely we all know that fish is a high-protein foods. However, in contrast to the meat, we do not need to worry about the fat content in the fish. Some types of fish, such as gindara has a very low fat content. Other fish such as salmon and tuna have enough fat content, but do not worry because the fat contained in it, is a good Omega 3 fats. Shrimp: Shrimp is rich in calcium and protein, and are included in the category of animal protein sources. Value of protein in shrimp categorized as complete protein amino acid levels are high, profiled approximately 85-95 percent complete and easily digested. 100 gr of raw shrimp contains 20.3 grams of protein or enough to meet the daily protein requirement by 41%. Pure milk: Milk serves as one of the best sources of protein and rich in quality protein. Amount of milk protein is not too large, but the quality of protein available to the body is simply amazing. Protein in milk contains all the essential amino acids that the body needs. Soybeans: In addition to protein, soybeans are also low in fat and contains phytochemicals such as isoflavones, saponins and phytc acid. The content is good to reduce the potential for heart disease, osteoporosis and cancer. Soy contains 29 grams of protein per cup. Tofu: Tofu rich in nutrients, especially protein can be processed into a variety of creative dishes. Can be taken with salads, steamed, fried or baked. In addition to nutritious, tofu also easily blends with herbs and other foods so you will not get tired of eating it. Tempeh: Tempeh (wikipedia) is a traditional soy product that is originally from Indonesia. It is made ​​by a natural culturing and controlled fermentation process that binds soybeans into a cake form, similar to a very firm vegetarian burger patty. From fermented soy food ingredients is quite tasty and delicious. Rich in vegetable protein, and can be processed into any food. Cheese: All types of cheese is a good source of protein. Try cheddar or mozzarella cheese are mixed into salads, pasta, sandwiches or soups. One thing to watch, especially for those who are dieting, fat cheese. So limit your consumption of no more than 1 ounce per day. Spinach: In one cup of spinach contains 3 grams of protein. You can eat them by steaming or boiling. Make sure you do not cook it too long, so it does not change the taste and ensuring proper nutrition. Peas: Types of beans such as peas, beans or long beans contain fiber and high protein. One cup of beans contains 12-15 grams of protein. Wheat: Grains or grains, such as wheat, is more widely known as a carbohydrate source. However, did you know that whole grains also contain protein? On wheat, protein content can reach about 9%. Broccoli: Broccoli contains 5 grams of protein in one cup, as well as fiber, carbohydrates, vitamins and minerals that are classified as a vegetable with complete nutrition. Yogurt: Yogurt is high in calcium and protein. Get used to eat yogurt every day. Can be consumed directly, mixed fruit, smoothies, or can be added to soups and curries. Almonds: This savory nut low in carbohydrates, high in calcium and protein. In addition, almonds also contain natural fibers, can be eaten raw or used as ingredients in other foods to taste. Anchovy: Although small in size, it turns out the protein content in anchovy reached 10%. Besides protein, you can also get calcium from anchovy consumption. Sushi: Sushi is a Japanese food consisting of rice which is formed with side dishes such as seafood, meat, raw vegetables or cooked. Sushi contains protein and fiber are generally low in calories and fat. Sirloin (Beef): Sirloin is generally used to make steak, sirloin has advantages in size, which can be cut bigger than the other cows. Additionally, Sirloin almost contains no fat. Chicken Tenderloin (White Meat): Each tenderloin has a weight of about one and a half to two ounces, making it easier for you to control your portions. Two tenderloin is almost equivalent to the size of the three-ounce servings. Spiced tenderloin is easy and can be used in a kebab or sauteed with other foods. Chicken breast (White Meat): Low-fat cuts of meat is low in cholesterol lunch choices healthy. This food can be an option if you want to eat meat is low in saturated fat. Eggs: Eggs are a source of protein with complete nutrition than other protein sources of food. Boiled egg contains seven grams of protein with only two grams of saturated fat. To avoid saturated fats, use egg whites and discard the yolk. Snails: Pomacea canaliculata, common name the channeled applesnail or snails known to contain omega 3, 6 and 9. From the test results of proximate, the protein content in snails proved high, ranging from 16 to 50 percent.